Having already sold her in October 2012, Joost Goverts at Northrop & Johnson Spain tells me he's again represented both buyer and seller in the sale of the 28.23m sailing yacht Aphrodite 1. Built to Lloyds class by Vitters in 1993, Aphrodite 1 was designed by Andre Hoek and sleeps six guests in an owner’s suite aft and two twin cabins forward of the main saloon. A single 240hp MTU engine gives her a range under power of 1,400 nautical miles. 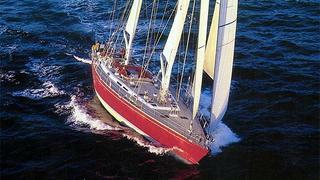 Aphrodite 1 was asking €800,000.